How do you roll over your toes going from Chaturanga to Updog? In side plank, should your feet be stacked on top of each other or one in front of the other? How do I get a better grip when pulling my foot in for Pigeon? What are some good shoulder openers for better backbends? When in bound side angle, which arm grabs the other arm? I think I’ve heard “the arm that wraps is the grabber” but don’t both arms wrap to some extent? Should I push or pull in child’s pose? 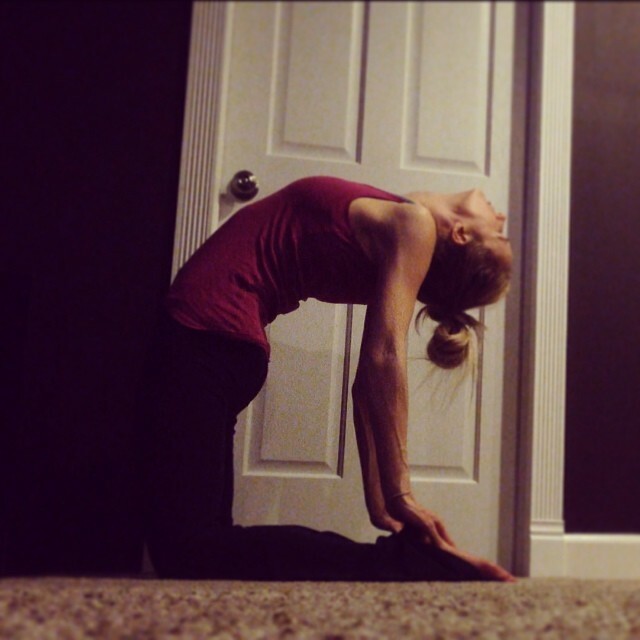 When in child’s pose, should I pull, which brings my chest down, or push which then my hips feel like they lower. Do I relax my neck in camel pose? Is it possible that some people will never be able to achieve full middle splits? Why does my knee point out while in the splits?